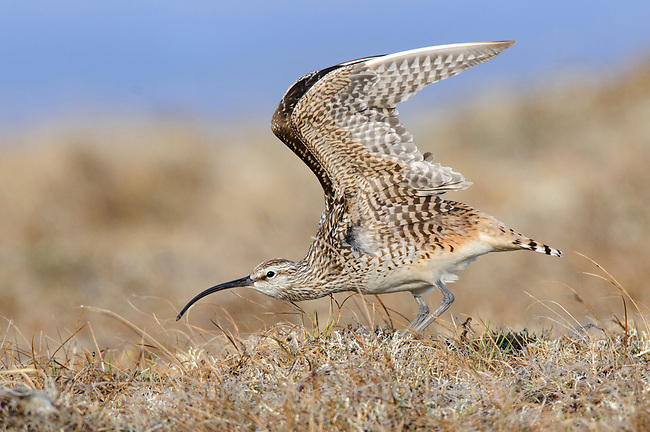 Adult Bristle-thighed Curlew (Numenius tahitiensis) wing stretching on its Alaskan breeding grounds. Seward Peninsula, Alaska. June.